Behind Mapledurham, linked by a curved carriageway, was constructed at the same time as the house a stable and coach house with living accomodation above. This was converted into a complete residence by Mr C. Wiren in 1938 and later sold to Mr Simpson. In the 1950’s Mr Ron Craig bought the Stables and lived there with his wife Merle and their children for 43 years. Its current owners are Jayne and Jonathan Watkins. 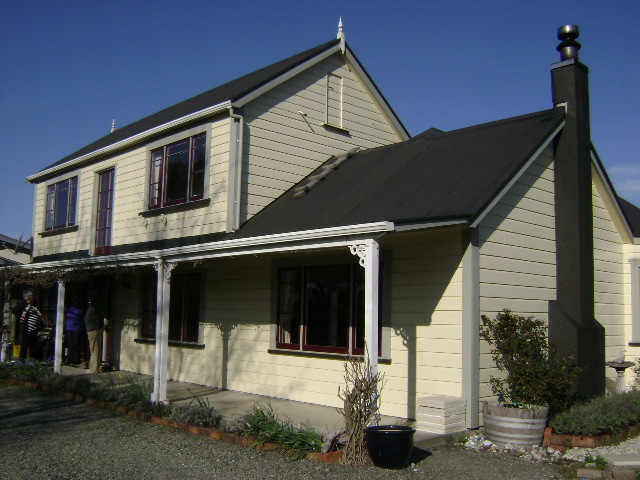 In addition to the alterations made by the Craigs, who extended the lounge and created a verandah on the western side, they have further extended the lounge, increased the size of the kitchen and added to it a pitched roof. Currently they are busy developing the gardens. 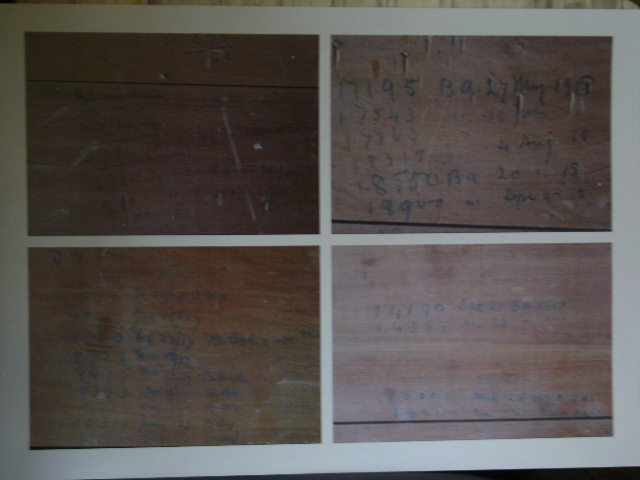 When the lounge walls were being re-gibbed, some curious tallies were discovered written on the wooden sarking (see pictures). 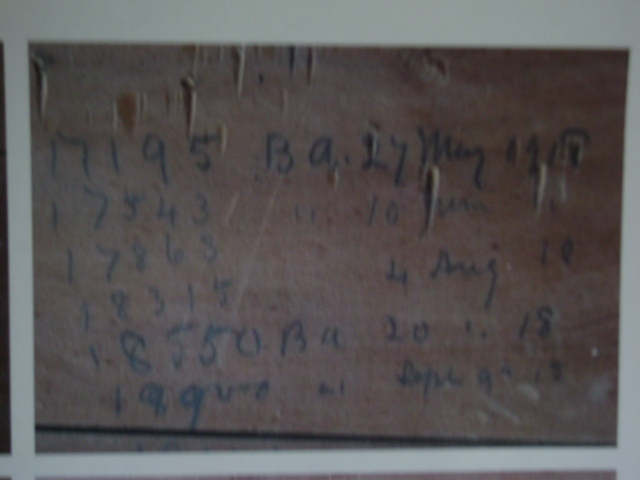 Now covered behind wall linings in the lounge, these figures and dates record tallies achieved by someone – but what? The stables near the time when the Craigs sold the house 43 years later. 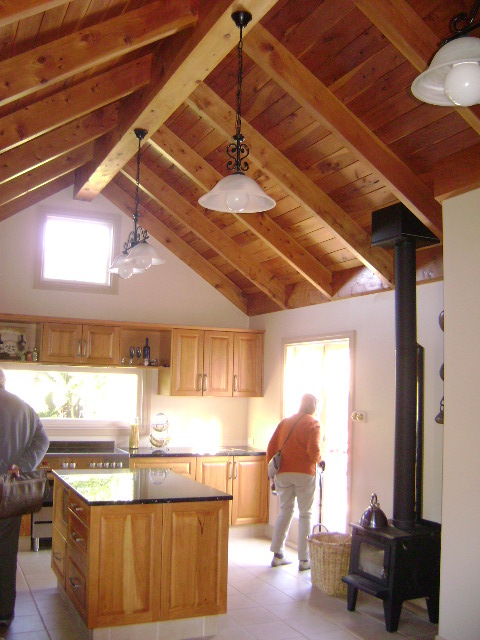 A complementary view of the right hand side of the kitchen. It was very fortunate that Mr Craig was on hand to talk about his family’s time living there and how a disasterous fire was narrowly averted. This added greatly to member’s appreciation of the building. Wayne, our Vice President, thanked Jayne and Jonathan for their hospitality and presented them with a gift. 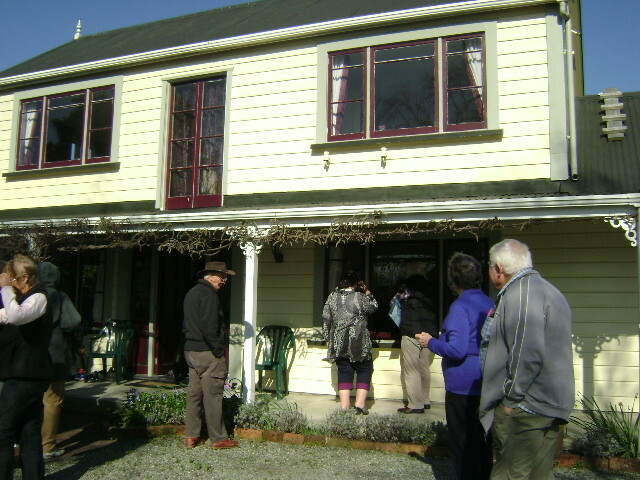 Members were then free to wander through the house and to appreciate the additions and restored features with items sympathetic to the period. 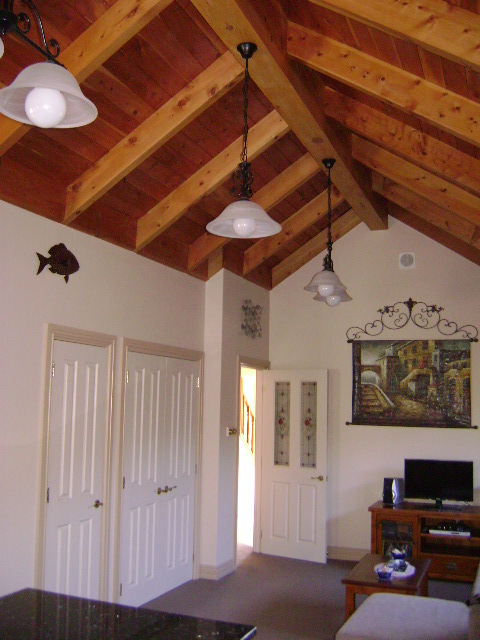 The Stables are fortunate to be in the hands of enthusiastic and dedicated owners who obviously love old houses.